180 pages | 12 Color Illus. | 6 B/W Illus. Sinason, Foreword. O’Farrell, Introduction. Bull, Personalisation and a New Landscape for Learning Disability Services. Part I: Having a Learning Disability. Caven, The Question of What to Say and How to Say it?Part II: Loss. 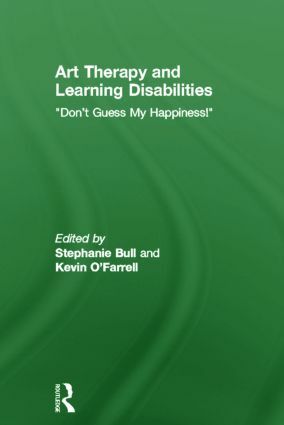 Dee, Loss, Bereavement and Learning Disabilities – A Theoretical Overview. Dee, Shaping Loss. Bull and Shallcross, Leila’s Shunt: "If I Did Not Have the Shunt in My Head I Would Have Been OK".Part III: Attachment and Separation. Storey, Skating in the Dark. Part IV: Infantilisation. Goody, Stuck in Childhood?Part V: Fear. Ashby, The Long Fingers of Fear. Part VI: Powerlessness. Bruckland, "It Makes Me Jump When I Fall Over".Part VII: Self and Identity. Bull, "The Beast Can Scream". O’Farrell, Conclusion.